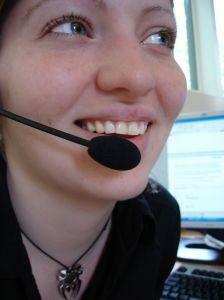 Sales force outsourcing is a growing trend in the business world. Many companies are hiring third party providers to take care of lead generation, sales, account management, and customer service functions. When looking at ways to trim expenses while boosting productivity, many modern operations are deciding that outsourcing the sales function is a wise decision. Instead of staffing and training a team of full-time sales employees, these organizations are turning to external providers. Outsourcing the Sales Function: The Real Costs of Field Sales by Erin Anderson and Bob Trinkle provides insight for business owners and managers who are interested in learning more about how the cost of outsourcing compares to maintaining a sales staff. Some companies use the services of outsourcing providers to win new accounts. These organizations utilize the services of third parties to generate and follow-up on leads, as well as making initial sales. Once an initial sale is generated, the account switches to an in-house status. Follow-up and customer service is handled by the client company, freeing the sales professional to continue prospecting for additional business. In some cases, organizations enlist the assistance of outsourcing companies to help them reconnect with former accounts. In this case, outsourced sales professionals make contact with companies that have worked with the client company at some point in the past to re-establish a relationship. Once the relationship becomes active, account servicing returns to the client company. Some companies actually outsource all of their sales function. Instead of bringing ongoing account service functions in-house following an initial sale, these organizations leave all sales responsibilities in the hands of the sales force outsourcing provider. With this type of arrangement, control stays with the third party provider after making the initial sale or re-establishing a relationship with lapsed accounts. This approach to outsourcing the sales function can be beneficial for companies that are dedicated to research and development or manufacturing. It is also advantageous for small operations that lack the resources to fund a sales support team. Some companies who outsource the entire sales force choose to utilize independent direct sales representatives to handle their sales. Instead of contracting with a single third party provider, these organizations recruit individuals who sign on to represent their products or services. Insurance companies, financial services firms, and a wide variety of consumer products utilize this business model. Most of the home party businesses, such as Mary Kay and Tastefully Simple, use the services of independent direct sales representatives. You can learn more about the advantages and disadvantages of this approach to sales outsourcing in Selling Through Independent Reps by Harold Novick. Some companies maintain their own sales teams near their base of operations, but utilize third parties to handle sales duties in other geographic areas. This approach is very common when companies expand from focusing on domestic sales into international markets. Staffing expenses and diversity considerations increase exponentially when one looks at hiring sales people to work overseas. In many cases, it is much wiser to hire a local outsourcing provider when going into a new country rather than trying to deploy your company's own staff members into an overseas sales job.